Irritable bowel syndrome (IBS) is a serious illness—those who have it know what I’m talking about. In fact, it affects one in five Americans and this month is dedicated to raising awareness about this disease. Irritable bowel syndrome is a long-term condition that causes problems with waste movement through the bowels. Its many symptoms include abdominal pain, bloating, constipation, and diarrhea. If you experience any of these symptoms or have noticed mucus in your stool, extreme urgency to get to the bathroom, or the feeling that you’re never passing enough stool, you might be suffering from irritable bowel syndrome. Although irritable bowel syndrome cannot be cured, there are ways to manage the symptoms. The symptoms come and go over time, so use a diary to monitor what works for you and what doesn’t. Before I move on to some ways to keep your symptoms in check, I feel it’s important to mention that lifestyle, although not a direct cause of irritable bowel syndrome, does contribute to its flare-ups. For example, lack of sleep and exercise, stress, and poor eating habits can all make it worse. Adjust your fiber intake: It’s possible you need to increase, limit, or change the sources of fiber in your diet. There are two kinds of fiber: soluble and insoluble. Soluble fiber dissolves in liquid to form a gel, while insoluble fiber absorbs water and adds bulk to stool. If you’re bloated or having stomach pains, it could be because you’re eating too much insoluble fiber, which is found in most cereals and whole grains. Herbal therapy: When looking for treatments for IBS, many people turn to herbal therapy. Peppermint and peppermint combinations can be effective in relieving the symptoms of irritable bowel syndrome. The extract calms the colon area to reduce the frequency of diarrhea, while relieving abdominal pain. It should not be used for an extended period of time and should be taken in enteric-coated capsules. Talking to your doctor and an herbalist is highly recommended because some remedies contain a number of other herbs, which can interact negatively with other medications. Probiotics: “Good bacteria” like probiotics can aid in the breakdown of food and clean the intestine by working with your gut flora (natural bacteria in the gut) to process waste—that’s why many people consume more probiotics as part of their treatments for IBS. Probiotics of various strengths can be purchased over the counter, and the strain “Bifidobacterium Infantis 35624” is particularly effective. Hypnotherapy: Because irritable bowel syndrome is also a mental condition, hypnotherapy can effectively relieve IBS symptoms. Research shows a considerable number of patients respond well to hypnotherapy treatments for IBS and many patients also report an increased quality of life. It should be noted that multiple sessions are usually required so this treatment can be rather time consuming. Yoga: Although there have been no direct links between yoga and irritable bowel syndrome, the relaxing and calming effects of yoga and meditation can help. Yoga promotes stress reduction, which can help with irritable bowel syndrome. Furthermore, the relaxation can help reduce abdominal pain and other symptoms. Many of my patients have had success using these treatments for IBS—I hope you will too! Tillich, K. et al., “Complimentary and Alternative Treatments for Functional Gastrointestinal Disorders,” International Foundation for Functional Gastrointestinal Disorders web site, January 17, 2013; http://www.aboutibs.org/site/about-ibs/management/complementary-or-alternative-treatments/, last accessed April 19, 2013. BBC News Staff, “Hypnotherapy ‘can help’ irritable bowel syndrome,” BBC News web site, March 18, 2010; http://news.bbc.co.uk/2/hi/health/8572818.stm, last accessed April 19, 2013. Kuttner, L. et al., “A randomized trial of yoga for adolescents with irritable bowel syndrome,” Pain Research and Management. Winter 2006; 11(4): 217-224. 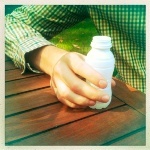 “How peppermint helps to relieve irritable bowel syndrome,” ScienceDaily web site, April 20, 2011; http://www.sciencedaily.com/releases/2011/04/110419101234.htm, last accessed April 19, 2013.